The alluring blue-green stone is known to bring good fortune. "A turquoise given by a loving hand carries with it happiness and good fortune." If there's one thing I noticed from moving from the southeast to Colorado, it was the difference in women's jewelry. I didn't see as many delicate pearls or opals on the necks, ears, or fingers of the fair ladies of the West, instead, I saw thick silver cuffs and beaded drop earrings with lots and lots of turquoise. Western jewelry has a more unbridled, free-spirited look that mimics the beauty of the wild and open terrain. With its down-to-earth appeal, turquoise jewelry is the kind of beautiful that doesn't have to try. Of course, including turquoise into any piece of jewelry design will turn heads no matter where you wear it, I mean, just look at the necklace actress Cate Blanchette wore to the 2015 Oscars! From Asia to the Middle East to South America and all the way to the southwestern United States, turquoise has commanded attention since 5,000 BC. Turquoise wasn't just worn by the royals of their time, the stone was also a fixture in religious ceremonies, construction, battle armor, and to adorn tombs. 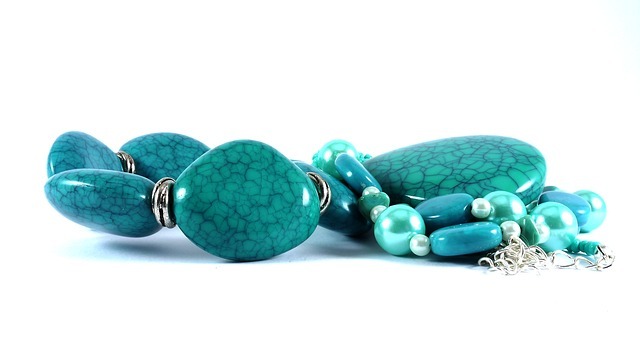 Aside from being an attractive color and versatile in display, turquoise also carries its own spiritual lore. The wearing of turquoise has been believed to ward off evil spirits, act as a calming influence, and keep the wearer safe from danger. If you're going to keep the demons away and relax at the same time, you may as well look nice while doing so. Turquoise jewelry thankfully doesn't break the bank when it comes to shopping for yourself or a loved one. Being the December birthstone, you have an immediate go-to choice for a unique gift come their actual birthday or the holidays. As for being a southern transplant who found her way out West, I have grown to appreciate the beguiling color and the earthy aura it emits. Have some old jewelry in need of repairs? Here's why you should take it to the professionals.